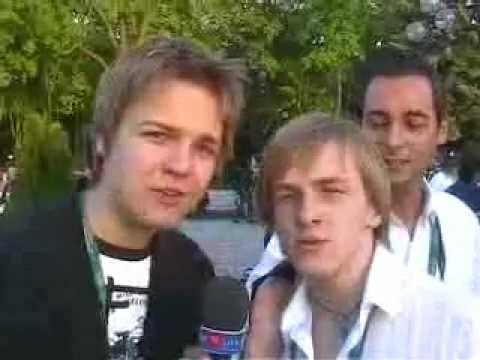 We will never forget the wonderful Contest in 2003 in Riga: t.a.t.u. and Sertab Enerer took part. In 2002 Marie N could bring the crown to Latvia with "I wanna". Since then Latvia has not been showered with many points by the other countries. The bands Fly and Formins & Klein could only reach lower ranks. This year there is coming something very special from Latvia. A beautiful quiet ballad called "The war is not over" by the male-duo Walters & Kazha - which is really touching. In recent years other male duos could even win in 2000 the Olsen Brothers with "Fly on the wings of Love" for Denmark and Paul Harrington & Charlie Mc Gettigan in 1994 with "Rock'n Roll Kids". The song has to be real good to pass the big competiion even in the semifinal. With this song - no problem! 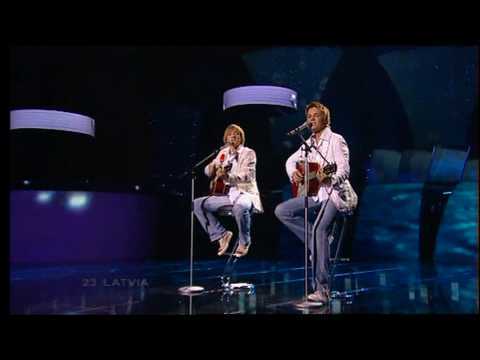 Latvia 12 Points!